The ongoing shortage of doctors in rural areas is something that the people of Forbes in NSW are all too familiar with. But luckily they have a community pharmacy which not only recognises the need to fill the gap when a GP is not available, but also has refurbished the pharmacy as a health hub for the community. Co-proprietor Sarah Hazell, who has been with Flannery’s for 20 years, said this approach reflected the pharmacy’s strong commitment to the community. “Our involvement in the community sets us apart from other pharmacies. 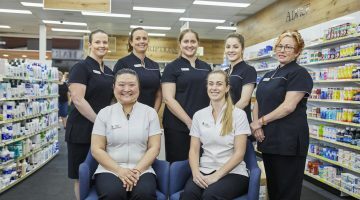 Flannery’s has been part of the Forbes community for just over 60 years and the pharmacy has always had a focus of giving back to the community,” Ms Hazell said. “Being a rural town there have been times when we have seen a shortage of doctors and this has meant that our role in the community has often been as the first point of contact for people when they are feeling unwell. Recognising the need to provide an ongoing and expanding range of professional services was a driving factor behind the pharmacy’s recent major refurbishment. As part of this work the pharmacy now has four consult rooms available. “When thinking about the services we provide and planning for future growth we decided when planning the refurbishment that we needed more than two consult rooms,” she said. “We have three professional consult rooms and two of these are used most commonly by our pharmacists, interns and nurses. “The third room is what we call our Gold Standard Consult Room – it includes a bed, curtain, sink and consulting desk and is used widely by other health professionals. “This has been very successful and our patients really appreciate the services that are provided through that room. We have visiting podiatrists, physiotherapists, speech therapists, audiologists, occupational therapists, diabetes educators and so on. “The fourth room is our community room. This concept was developed as a need in the town for parents to comfortably feed, change or weigh their baby. Many families living on the land may have to travel close to an hour to visit us and required a space to tend to their babies when in town. This also enables parents and carers to seek health advice. Ms Hazell said local allied health providers and doctors supported the pharmacy’s strong focus on provision of professional services. “We have a good relationship with our local GPs. In the past they may have been concerned we were trying to take over some of their services but they now realise we are helping them and we always refer to the doctors when we need to. “Acceptance from our doctors was reflected in our vaccination program and we had no opposition at all from GPs when we introduced it. “The doctors can’t keep up with demand for their services so we are just helping them meet the needs of the community. Ms Hazell said these were all developed with a central theme – a focus on community. “Our vision is to offer the highest level of pharmacy care to all people in our community. 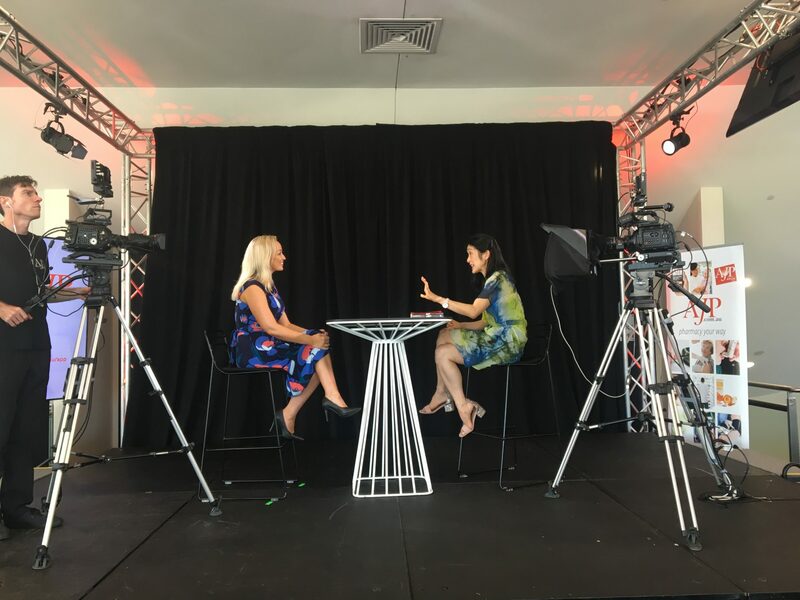 This complements our mission which is to develop a knowledgeable, capable and caring team of experts to work with other healthcare professionals and community groups to provide improved health outcomes for our community,” she said. The “putting the community back in community pharmacy” is highlighted in the range of activities undertaken to engage patients and the community. These include mothers’ group talks, sessions on medicines and falls risks, brain and body workshops for rural women and men, and men’s health days on top of schools and community group activities. In addition, the pharmacy provides a wide range of health education seminars, workshops and events. 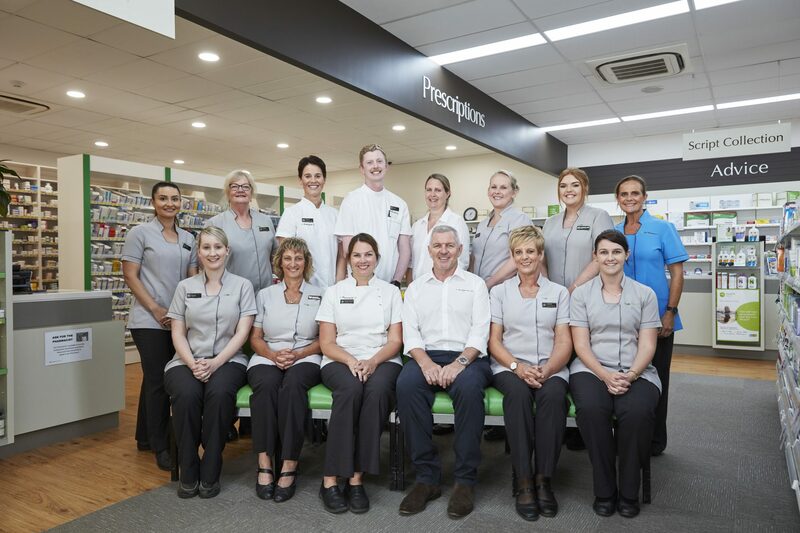 In addition, Flannery’s Pharmacy has developed a close working relationship with the local Aboriginal and Torres Strait Islander medical centre. “Our two HMR-accredited pharmacists recently attended a meeting with the doctors and practice managers as to how we can better improve health outcomes for this population in our community. Ms Hazell said she was very optimistic about the future and saw the Guild’s Community Pharmacy 2025 (CP2025) project as providing great guidance. “We have looked at the nine pathways to growth in CP2025 and identified what we are already doing and what pathways provide future opportunities,” she said. “We’re very positive about the future of pharmacy. 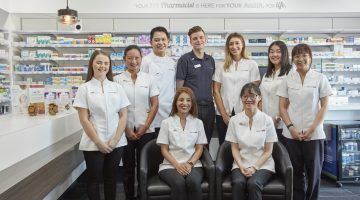 “We love our professional services and our involvement in helping to improve the health of our community and I think that can only grow with new services that pharmacists can provide. There is a lot of positive change coming through the profession. Ms Hazell also stressed that the future depended on looking after the pharmacy’s staff. “At Flannery’s Pharmacy we understand the need to invest in our people. “Our team members are essential in delivering our goals and vision. We also ensure we have the right people in the right roles and this is crucial to our pharmacy’s success. “Regular communication with our team ensures they understand our vision and direction. When setting goals or implementing change our team is engaged to deliver as they understand the reasons why. “Our team is encouraged to regularly communicate with managers any concerns or business ideas they may have.